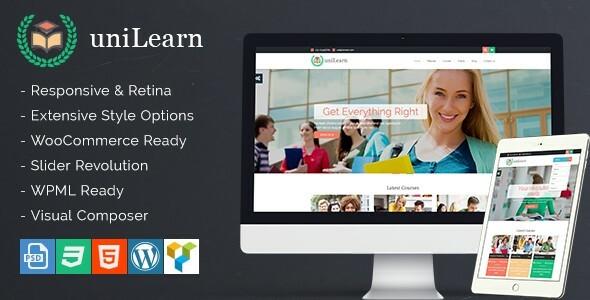 UniLearn Education and Courses Responsive WordPress Themes is a unique and flexible Education and Courses WordPress theme, suitable for a wide variety of educational websites. This theme offers many various possibilities which will help you easily create a beautiful and stunning website. “UniLearn” is applicable for colleges, online courses, tutorial sites, personal blogs and may other various site types! Highest quality of code, extended and easy-to-read documentation, prompt and qualified support are the key features “UniLearn” is standing out. This item is July Free File of the Month! And available free until August 01, 2018 23:59 AEST +10:00!